FanArt by Lysa Whitmore. 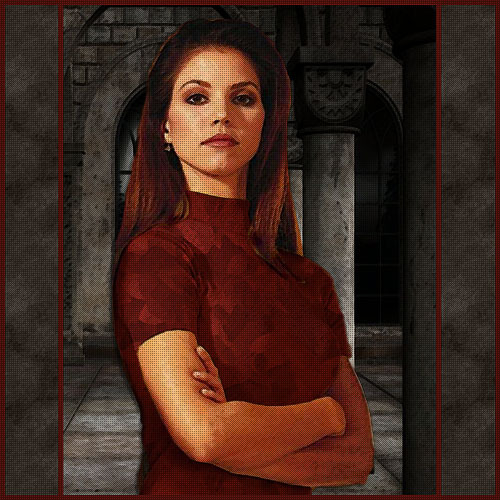 A clothing manip of a BTVS photoshoot of Charisma Carpenter as Cordelia Chase. CC's yellow shirt was altered. Background and frame added. Photo filters applied.